Prohibition Agent Homer Lafayette Everett left Gulfport, MS, in route to Jackson to attend a Federal court hearing. His driving route took him past the home of Guy and William Fairley, two brothers previously arrested by Agent Everett. Both brothers were awaiting trial on Federal liquor violations. The Fairley brothers recognized Agent Everett, obtained a 12-gauge shotgun and began following him for about 65 miles along the roadway. The brothers even stopped at one point and waited while Agent Everett investigated an incidental car crash, involving a car loaded with liquor. As Agent Everett continued his journey and neared the town of Collins, Guy Fairley got into the back seat armed with the shotgun. 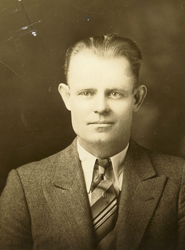 He instructed his brother, William, to pass Agent Everett's automobile and as he did so, Guy Fairley fired two shots at Agent Everett, killing him instantly. The Fairley brothers continued home via a circuitous route and along the way, Guy Fairley threw his remaining shotgun shells alongside the roadway, and the shotgun into a creek. Guy and William Fairley were later arrested by Prohibition Agents and local police officers. They were tried and convicted of murder. Guy was sentenced to death while William received life imprisonment. 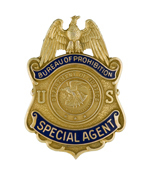 Agent Everett joined the Bureau of Prohibition on January 7, 1930, with an annual salary of $2,300. Agent Everett was born in Gums, MS. He was survived by his wife.